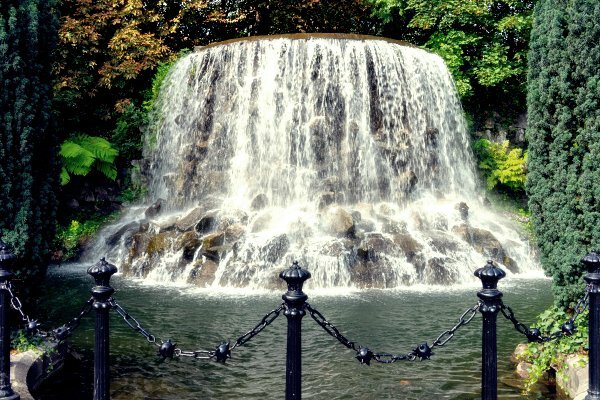 Our Favourite Hidden Dublin Treasures - As Recommended By The Locals! In the first half of 2018, nearly 5 million tourists visited Dublin. Dublin’s rich history, many attractions and sights make Ireland’s capital a top destination for many avid travellers. As with any city there are the popular and obvious things to do, but Dublin is also filled with many lesser-known treasures. Are you ready to get off the beaten track and discover more of Dublin, as the locals know it? Read on for an exciting list of alternative attractions that you can consider once you’ve enjoyed Vaults Live, and want to do something a little special. Feeling romantic? 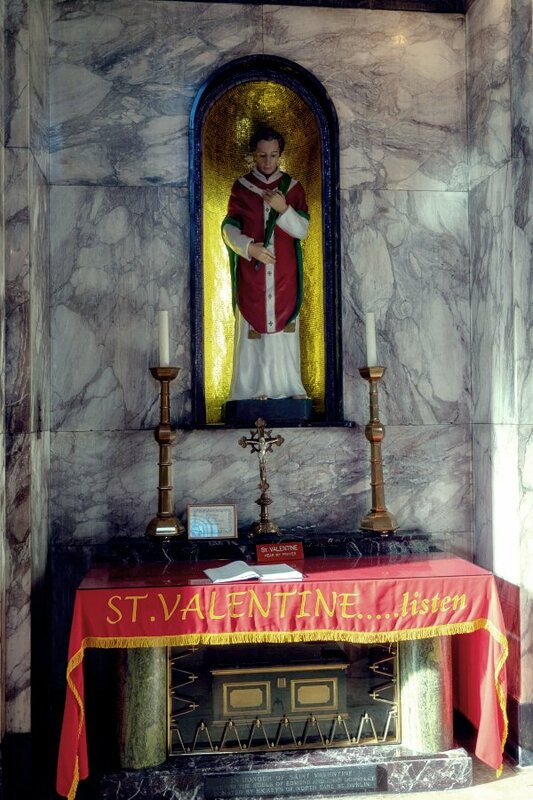 St Valentine relics can be found in Carmelite Church in Dublin 2. Relics of the Saint were a gift from Pope Gregory XVI to Friar John Spratt. He was a tireless worker for the homeless and the poor and he also founded schools, orphanages and shelters. Thanks to him you can pray for love in the Dublin city centre! St Stephens Green Park can’t be missed but finding Iveagh Gardens is a little bit more of a challenge. Not surprisingly they are also called Dublin’s ‘Secret Garden’. It is a National Historic property with landscape features dating from 1865. You can find there a picturesque waterfall, rosaries, fountains, statues and a maze. Many locals would tell you this is the better park to see while in Dublin. Where: Clonmel Street, off Harcourt Street in Dublin 2. Access is by Clonmel Street, Hatch Street, and to the rear of the National Concert Hall on Earlsfort Terrace. For the fan of architecture, and light shopping Ireland’s first purpose-built shopping centre is centrally located on George Street, and easy to find. This Victorian style red-bricked indoor market is truly impressive inside and out. It is one of Europe’s oldest markets, serving Dublin since 1881. Here you’ll find a number of great eateries, as well as trinkets, paintings and more. Marsh’s library is where Bram Stoker, the author of Dracula, spent his time reading about Transylvania. 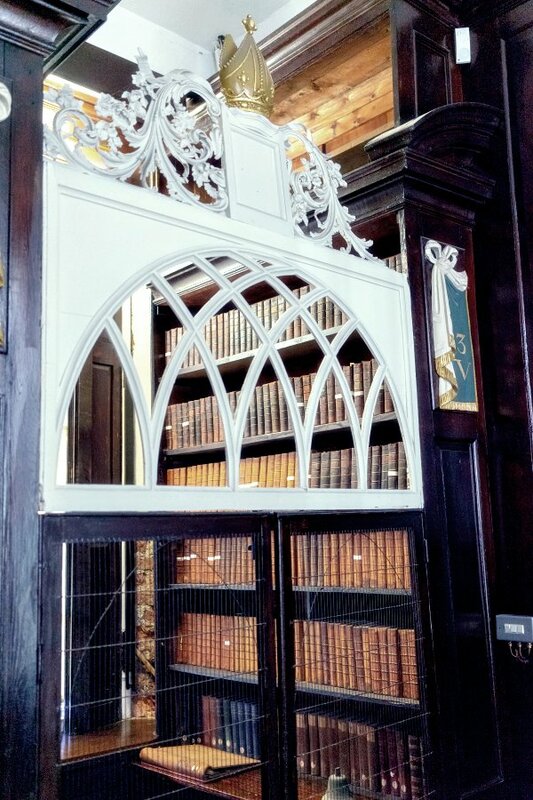 Marsh’s Library was opened in 1707 as Ireland’s first public library. The interior has remained mostly unchanged since then! The books are housed in two galleries, and the first one is especially impressive. There is also a small reading room adjoining the two galleries. You can find books and manuscripts from XV to XVIII centuries. Unfortunately, you can’t touch any of the books but some open books are on display. If you enjoyed the famous book of Kells, then you’ll absolutely love this! Opening times: Monday to Friday 9:30 am to 5.00 pm (except Tuesday) and Saturdays 10.00 am to 5.00 pm. Closed Tuesdays, Sundays and bank holidays, and at Christmas and New Year. Admission: 3 EUR per person or 2 EUR for students and senior citizens. Trinity College, and the Book of Kells are quite popular and well known. Just around the corner, not even off the beaten track is the Science Gallery. It is a fantastic place to immerse yourself in a world of creativity, art and science – all while having fun at the same time! Opening times: Museum is open from Monday to Friday. Public tours of Freemasons’ Hall take place at 2.30pm from Monday to Friday in June, July and August. Outside of those times, a private tour can be booked directly. Admission: Museum is free of charge. Public tours of Freemasons’ Hall cost 2 EUR per person. If you weren’t scared enough at Vaults Live already (is that even possible? ), then visit the crypts at St. Michans church to see… MUMMIES! Visitors can enjoy a guided tour the crypts with well-preserved bodies that are approximately 400 – 800 years old. In the church, you can see a beautiful 18th-century organ. It is believed that George Frideric Handel composed ‘The Messiah’ on this very same organ. Opening times: Saturdays throughout the year and on weekdays during the summer. While the Fairy Castle is quite well and truly off the beaten track, and not even really a castle, it’s still remarkably majestic! It is located on the summit of ‘Two Rock Mountain’ at a height of approx. 536m. 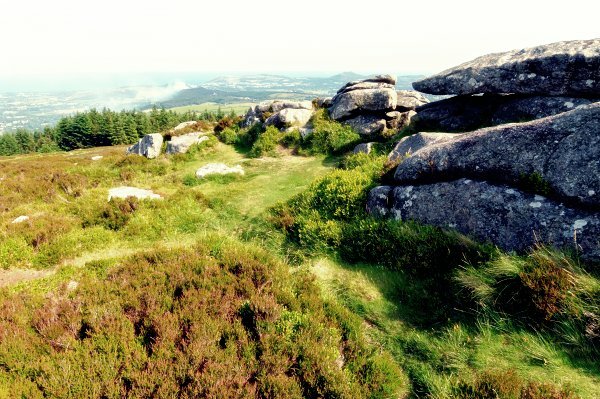 You will get a great view across Dublin to Howth Head, and the Wicklow mountains. It is a moderate trekking, which takes approximately 3 hours in both directions. How to get there: The best route is by car to Kilmashogue car park. Alternatively by public transport: Luas Green Line to Balally (31⁄2 miles), bus 44B to Blackglen Road (21⁄2 miles). Rain, hail or shine there is always a local gathering at the Forty Foot. The Forty Foot is the most famous swimming spot in town. And the locals love a drop in the Irish Sea seemingly all year round! The Forty Foot is located just near Dublin’s Dún Laoghaire harbour and is a convenient stop off on the way south to Bray or Greystones. The Bray to Greystones cliff walk is also highly recommended, but even the view from the train alone is rewarding. Vaults Live is still a little bit secret - simply because it’s brand new! Vaults Live is a unique live theatrical visitor attraction inspired by fascinating Irish history. Set to be next best thing to do in dublin, Vaults Live is an immersive live experience full of folklore, stories, thrills and excitement. 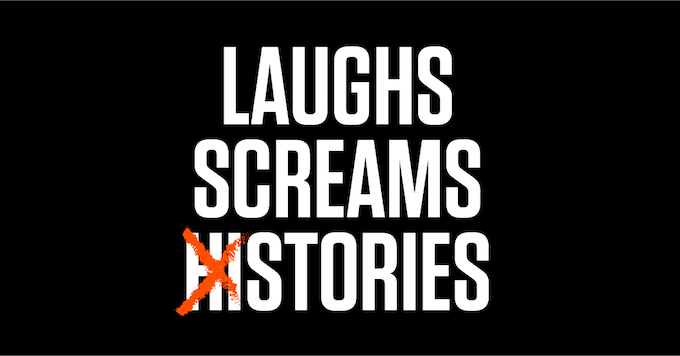 Six individual tales are presented to thrill, excite, amuse and raise the hairs on the back of necks of all ages! Opening times: Every day 10.30am – 6.30pm – last show at 5.30pm, except on Thursday when the Vaults is open until 8.30pm with last show at 7.30pm.